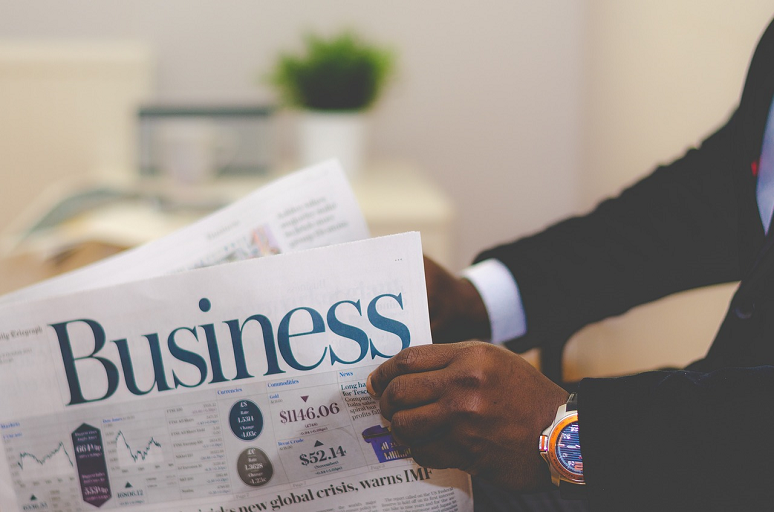 In this week’s news roundup, we look at announcements around professional headsets, video conferencing, virtual assistants, as well as a network partnership and an acquisition in the mobile space. UC headset provider Jabra this week launched the latest addition to its Evolve headset line, the Evolve 65t -- wireless earbuds aimed at mobile professionals. 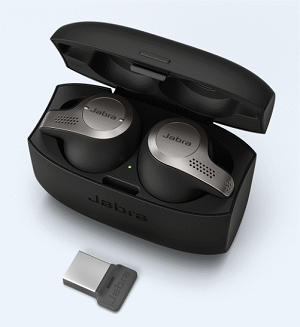 The wireless earbuds include all the features of Jabra’s Evolve line, such as professional quality audio, compatibility with UC solutions, and dual connectivity for a laptop and smartphone. Plus, the earbuds are Skype for Business certified. The Evolve 65t, shown to the right, features four-microphone technology for sound, 15 hours of battery life, multiple fitting options for getting the right seal, adjustable passive noise cancellation, and, for voice commands, one-touch access to a digital assistant of the user’s choosing. The Jabra Evolve 65t will be available in mid-December for $329. Cloud video conferencing service provider Videxio this week announced MeetingConnect, a feature that lets users join a meeting by scanning a QR code when entering a meeting room. With MeetingConnect, Videxio said it wants to eliminate the hassle users face in searching for meeting dial-in details and having to manually type in characters to a video room device. For IT, Videxio said it sees MeetingConnect providing a way to get more use out of their existing video conferencing investments, since it works with legacy room systems from companies like Polycom and Cisco. All employees need are their smartphones – and the QR code, of course. MeetingConnect supports most video meeting apps, including its own plus apps from Pexip, Microsoft Skype for Business, Cisco Webex Meetings and Webex Teams, BlueJeans, and Zoom meetings. Videxio is also working on support for Google Hangouts, the company said. To get started with MeetingConnect, admins just need to log in to the Videxio admin portal and print QR codes with instructions to post in meeting rooms. You can see a short demo video here. Microsoft partner AvePoint, an enterprise software and services provider, this week announced the general availability of AvePoint Virtual Assistant (AVA), a bot designed to locate and restore Microsoft Office 365 content for end users. Users who accidentally delete or can’t find files, documents, or emails in Office 365 are able to forego calling up IT and instead chat with AVA in Microsoft Teams. AVA can automatically perform searches based on the individual user’s permissions in Exchange, Outlook, and OneDrive’s recycle bin to restore the sought-after item. Further, when integrated with AvePoint’s Cloud Backup for Office 365 solution, the bot can find content that isn’t retained by Office 365’s native backup capabilities, AvePoint said. AVA is available as a freemium application in the Microsoft Teams Store. Among future developments, AvePoint said it intends to support all major languages with full natural language processing capabilities and to integrate the bot across the full Office 365 portfolio. Software-defined network (SD-WAN) vendor Versa Networks recently revealed that it’s teamed up with Amazon Web Services Partner Network (APN) partners to provide SD-WAN solutions tailored for AWS. The resulting solution will secure and optimize the migration of enterprise on-premises workloads and applications to AWS, Versa said. When selecting partners to work with, Versa said, it looked for service provider and system integration partners that have achieved the AWS Networking Competency status and are an APN partners supporting AWS Direct Connect. Initial APN networking partners include Verizon, Comcast, CenturyLink, and Zayo, the company said. The first package offered in the AWS Solution Space comes from Zayo. The Versa architecture for AWS involves application-aware routing, application traffic optimization, and a diversity of transport options including MPLS, Internet, LTE, and DCA. It includes the capability to use cloud-interconnect and gateway solutions for private, direct access to AWS. Tango Networks, a provider of communication solutions for mobile-first enterprises, this week announced the acquisition of Simetric Telecom, a U.K.-based provider known for its ability to blend fixed communications and mobile services to deliver unified telecommunications. Simetric’s Mobile-X service, in particular, provides converged mobile communications that encompass a full enterprise telephony feature set. Tango recently launched its own cloud-powered enterprise mobile communications service, called Kinetic Cloud, that offers mobile UC, mobile communications recording compliance, automated enterprise application mobile integration, and enterprise text messaging. Together as one, Tango is aiming to create an enterprise mobility powerhouse capable of revolutionizing mobile communications services, the company said. The combined offerings will integrate mobile native voice, text, and data communications with enterprise telephony and applications, giving enterprise customers a “ubiquitous, global communications fabric covering all employees in any location,” Tango said. Simetric is now operating as a subsidiary of Tango Networks; it didn’t disclose the price or terms of the deal.